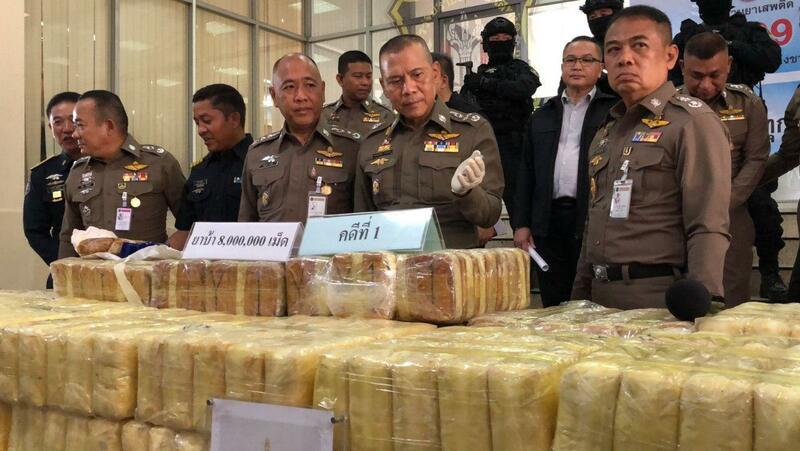 BANGKOK, March 21 (Xinhua) -- Thai police on Thursday announced they have seized drugs with an estimated value of 800 million baht (25 million U.S. dollars) in the recent three drug busts. A total of 8 million methamphetamine pills, 2,070 grams of crystal meth and 1,546 grams of cocaine were seized in the haul. 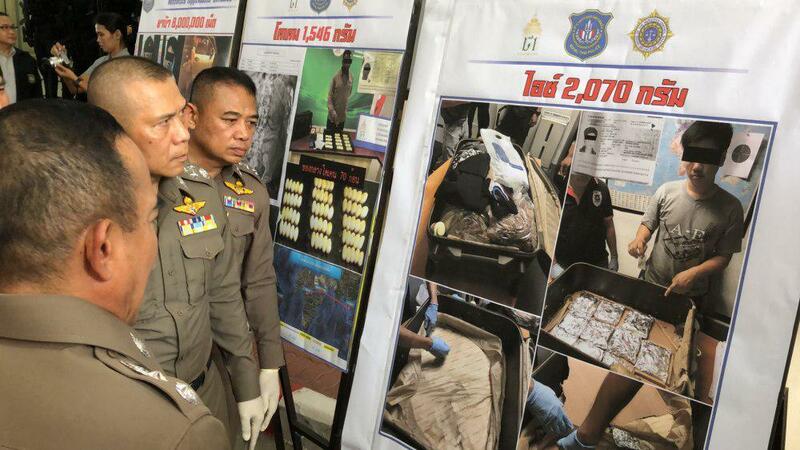 Four suspects were arrested and another suspect was killed during the bust, police told at a press conference in Bangkok. In the first case, three hill tribe men were arrested and charged with possessing illicit drugs for sale, one of which was killed in a gunfight with police in Thailand's northern Chiang Rai Province. Police found 8 million speed pills, three pick-up trucks and a pistol during the bust on March 16. In the second case, a 47-year-old man was arrested for allegedly smuggling cocaine in his stomach at Bangkok's Suvarnabhumi Airport. In the last case, a Thai man, 28, was arrested on Tuesday after more than 2,000 grams of "ice" were found in his luggage in the same airport. After his arrest, police tracked down a batch of drugs smuggled to Thailand via the airport.